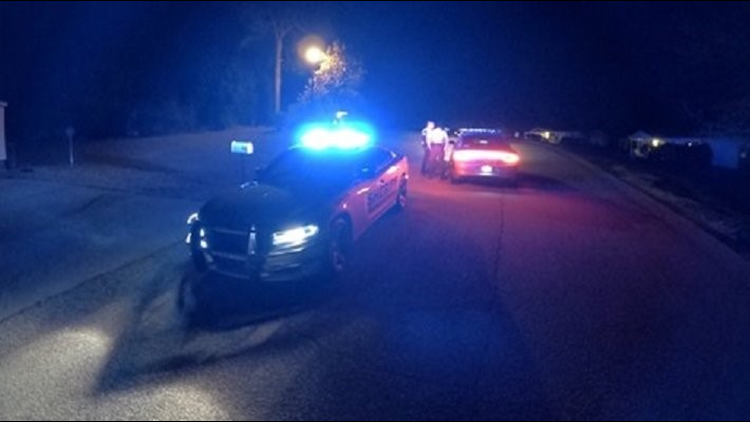 Three, including a child, were found dead inside a home in Sanford, NC on Friday night. Kareem Taylor has remained on the run since the murders that left an infant and two women dead. HARNETT COUNTY, N.C. — The Harnett County Sheriff's Office has charged Kareem Taylor, 24, with three counts of 1st Degree Murder for Friday's triple homicide. Taylor has remained on the run since the murders that left an infant and two women dead. Authorities identified the adult victims as Jacelyn Perkins, 22, and Jasmine Perkins, 20. Investigators have not clarified if the two are related, and have not identified the murdered infant. A second minor survived, Sheriff Wayne Coats said Friday. The discovery was made around 6:27 p.m. Coats said he's "pretty comfortable" that the triple homicide happened Friday. Coats said a person returned to the home off of Forest Manor Drive to find a body, then 911 was called. Responding deputies found the other two bodies. The home has a Sanford address, but is in Harnett County. The second minor was believed to be unharmed, according to Coats, and was talking with investigators.